Kitchens have also been tweaked to fully utilize what little space there is, such as smaller fridges and ovens - or even no ovens at all. 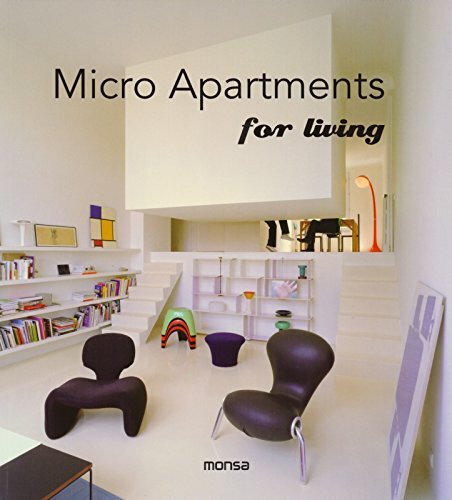 Cities across the world are encountering micro condo moments of its own. In 2013, in the face of limited open spaces, New York City is build its first prefabricated and affordable micro units (260 square feet to 360 square feet) to accommodate young professionals. The first units should be open for viewing sometime in 2015. Another woman living in New York City gave up space to be closer to the city’s amenities. She moved her life into a 90 square feet condo and hasn’t looked back. The 90 square feet condo had a lot of narrow spaces, to counter this, she organized her suite upwards. Although the space is small, she pays only $700 per month in Manhattan's Upper West Side. On average, market rents there can go for $3,600 per month. In Toronto, where almost every downtown street corner is building a condo, the title of smallest condo is currently held by DNA3 Condo Development. This is a bachelor pad (no bedrooms) built sometime in 2013. Some Toronto developers have even constructed a pure micro condo building. The Smarthouse development is a joint venture between Urban Capital Property Group and Malibu Investments Inc. This development features its smallest suites at 289 square feet and its largest three bedroom unit at 778 square feet. To make these small spaces workable, the kitchen was redesigned to exclude an oven. The plan was to have the capsules replaced every 25 years. The original intention for this building was to serve as a second home business people during the week. Today, the occupied capsules are used as offices and apartments for the old and young. Some even using it as as a weekend second home. In some markets, the micro condo is still something new. In Canada, the mortgage companies and banks are left scratching their heads in how to finance these units. Some brokers have reported that it is mainly investors that are snatchings units up to rent them out. As investment properties, Canada’s biggest five banks are wary of financing these units since it is too small in square footage. There is a concern from banks that these investors will quickly flip them once the markets begin to drop, and the banks may not be able to recover its mortgage financing. Another important issue that comes up for micro condos is the topic of affordability. It has been reported that micro condos generally drive up the selling price per square feet and are generally charges more rents than traditional larger condo units. In some cities, the micro condo is stuck in bureaucracy because the city has a minimum of how big the condos are allowed to be. In New York, the minimum square footage allowed for a condo was 400 square feet. The mayor in 2013 had to make exceptions for micro condos. In Chicago, the popularity of micro condos has not gained any steam. Current regulatory obstacles has been getting in the way of sub-500 square feet units here. For example, there is parking minimums in Chicago where each unit must have 0.5 to 1 parking space. Major changes are needed in Chicago’s zoning code before micro condos can gain traction here. There are some in Hong Kong who chose to tackle the small spaces by building moveable walls in its condo. a local architect by the name of Gary Chang got creative with his 344 square feet space by building 24 rooms into its condo (top right). How did he do it? He did it by creating moveable walls and installing mirrors in the ceiling to give the impression of a larger space. It is very likely that his condo is one of the only units in Hong Kong to also have a hammock. The world’s population now sits at 7.2 billion. By 2050, this number will reach 9.6 billion. Land is not getting bigger and to accommodate everyone especially in the urban areas, the only solution is homes must be made smaller. This is the trend. It will be exciting to see how different countries and cities respond to the future of smaller spaces.